We’ve all done it, at least once. Some of us maybe more than a couple of times, and I know there’s few that are repeat offenders. You know what I’m talking about – the bane of the security admin’s existence – default passwords. Those are the usernames and passwords that come with every device. Even in this day and age, most systems don’t REQUIRE you to change the credentials that get you system admin rights. The bad guys know that and use it to their advantage. When most of our business and personal systems are protected with just a name and a basic password (and maybe a trusted network range? ), that’s pretty easy pickings for someone with a brute force tool or a sniffer to find out your secrets. And once the bad guys have your credentials, then what? Well after that is when the real dangers begin. When’s the last time you changed your voicemail PIN from 0000? Perhaps your home router is still admin/password even though the FBI issued a warning for everyone to change it? And how many ERP users keep system admin “manager” around with the default password of… you guessed it. And those accounts open the door wide to anyone wanting to get in; good and bad. If you have systems exposed to the bad guys (and we all do!) then this post is for you. STOP IT! Even if you told me “Well, none of those systems are internet exposed”, I’d ask “where are the bad actors in your network?”. If you said “outside the firewall”, I’d respond with something like “I dare you to create a share/folder called “payroll” and see how long some curious netizen (aka employee) fell into that folder looking for something juicy. Imagine splaying your entire infrastructure wide open to someone who just happened to know that Netgear uses admin/password for all their routers? Or that your company name is NOT a good password? 1. Change the default username and change the default password. 2. 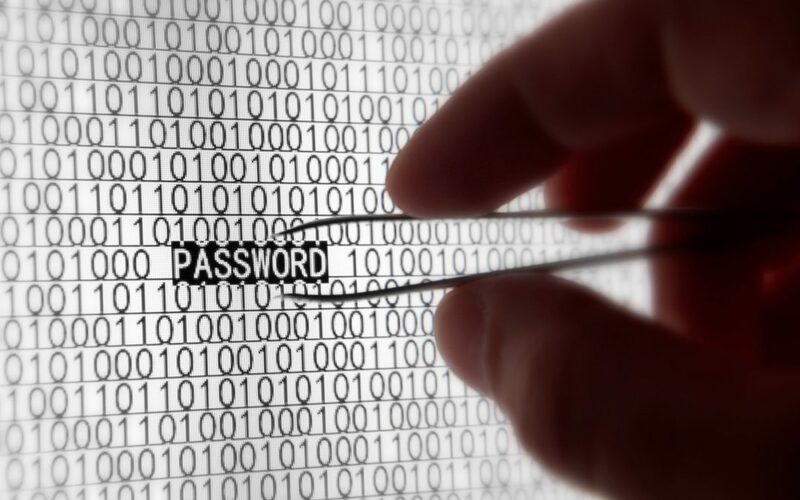 Start using stronger passwords, not P@ssw0rd. We recommend pass phrases, or a sentence that you can remember but the bag guys will have a hard time guessing. 3. Enable account lockout so that if “x” bad passwords are guessed in a row, the account is locked FOREVER (not reset after 10 minutes, thank you Microsoft). Helpdesk notification of such a lockout will put you in the know. 4. Remove admin credentials from being used on untrusted networks. Yes, your users are untrusted! Create a management VLAN, or a specific set of IP’s that can RDP, or shutdown the access from outside devices altogether. 5. Enable multi-factor authentication. This can easily be enabled in Office 365 and Active Directory, and if your devices leverage that directory then they automatically get that 2FA protection as well. 6. Hack yourself! Run a network scanner, or hire an outsourced IT firm to investigate for you, find the unsecured devices and fix them before the bad guys do. 7. Let us help you! We can run an ethical scan IT Assessment Detective scan of your systems, attempt to break into your systems, and give you a full reporting of your IT weaknesses. As “they say” knowledge is power. So, don’t let your next phone call to the EstesGroup be “help me, I got hacked!” And let our managed IT services company help you run your business better with a strong password security strategy – before the bad guys teach you a lesson. Interested in Outsourcing your IT? Or have a question on data security? Ask us, we would love to chat. As you might have heard, or possibly experienced, ransomware is a particularly nasty form of malware that holds your files hostage. In fact, DC webcams were hacked by ransomware before the inauguration! In the past, the ransom was usually just under $2,000 and, if you paid it, you probably got your files back. Those days are passing quickly. Lately, one of the biggest dangers of ransomware is that they’ve figured if you’ve paid once, you’ll probably pay again, so paying actually sets you up to get hit again! “Fool me once, shame on you, fool me twice…” In fact, we recommend against paying the ransom at all!. If infected, you can contact the FBI and while they won’t get your files back, they will open a case. I suggest you have a strategy for ransomware prevention implemented BEFORE you get hit. To add injury to insult, when you do come up with the Bitcoin to pay (no, they don’t take American Express), there’s a possibility that you WON’T get your files back! The unlock key simply doesn’t work, and the bad guys no longer are interested in you at all. They got what they wanted,they might even ask for MORE money! Another danger of ransomware is that ewer variants will also start randomly deleting files until you pay up! Ouch! Paying $600-$1,800 might not seem like a lot, but I am preparing for the day when the hackers don’t just demand money to return your files, they’ll start demanding MORE money to stop deleting your files, or worse yet, sell your files to your competitors! Can you afford a $20,000 ransom or risk your confidential data appearing in your competitors inbox? Do you have a rock-solid backup policy? Have you been hit with ransomware and don’t want to fall prey again? Contact us today and let’s talk about ransomware prevention. EstesCloud has the vaccine for ransomware! Click here to schedule a meeting to let us help you make your technology a no-brainer! HIPAA stands for the Health Insurance Portability and Accountability Act that was passed by Congress in 1996. Essentially, HIPAA enshrines the means by which American workers and their dependents can keep their health insurance coverage should they change or lose their jobs. HIPAA also sets industry-wide standards for electronic billing of health care services, and mandates the confidential handling of an individual’s medical information. So what does this have to do with mobile devices? Mobile devices have affected every industry sector. With each passing day, more and more professionals conduct their business using tablets, laptops, or Smart phones. This includes the medical industry where doctors, nurses, and physician’s assistants routinely send confidential data over satellite data plans and wifi. In most cases, the medical industry’s use of mobile devices translates into better patient care. But it also opens personal medical data to the threat of cyber theft. Make sure to document the fact that your patients have signed off on communicating with your office via email or any other electronic means. Documented consent is critical to HIPAA compliance. It’s also one of the simplest and best ways to avoid embarrassing misunderstandings and potential legal suits down the line. The ease and speed of mobile devices often results in users relying on abbreviations, emoticons, and other forms of Internet vernacular. Put simply: DON’T DO THIS. Remember that communications, notes, and files that appear unprofessional can subject health care practitioners to confusion at best and malpractice suits at worst. Treat every character you type on behalf of your job as the valuable work product it is. Your company and the patients you treat depend on accurate communications scripted in proper industry vocabulary. Remember that every email you send or receive, every file you upload or download, every conversation you have by phone is part of your patient’s official medical record. Text messages, phone calls, and conversational asides might not seem important in the moment, but they all form a piece of the overall puzzle a patient’s profile presents. Be sure to record every instance of communication diligently to prevent confusion and delays in treatment, as well as to maintain HIPAA compliance. No one leaves for work each day while the door to his house stands open wide. That’s just common sense. By the same token, no one using a mobile device in the 21st century should send any transmission without securing that message via data encryption. User passwords activate but one tier of proper data security. DON’T STOP THERE! Add as many layers as you can in the form of personal questions, icons, PINs, and other challenge-response tests. Remember that there’s no such thing as too much security. Our ComplianceCare service from EstesCloud can help you solve all of your HIPAA IT issues. HIPAA Technical safeguards are designed to decrease the possibility of a security issue or data breach in an organization. Businesses handling protected health information (PHI) must have current and comprehensive technical safeguards in place to remain secure from any threats, whether internal or external. Organizations that require HIPAA technical safeguard compliance must determine the extent of their security measures and if they are reasonable and appropriately suited for the size of the organization. For example, internet filtering and full disk encryption may be appropriate and cost effective for entities with tens of thousands of records managed by multiple users, while a smaller organization may be sufficiently protected with a less complex antivirus, file encryption or simple firewalls. What are HIPAA technical safeguards? This is a policy or procedure that controls who can access information. Only authorized people should be able to access certain information and all activity must be able to be tracked to a specific user. User verification and automatic log-off after times of inactivity, as well as emergency access procedures are addressed here. These controls are designed to record and examine activity where patient information is accessed or stored. The procedure should include a process that outlines the frequency, methods and scope of the audit, as well as processes for violations. This control is in place to ensure patient data is not destroyed or altered. This typically begins with a risk assessment to determine how outside sources may be able to access the information and then addressing those areas of weakness. Protection for external storage of information is also included here. It can also include procedures, processes or software that authenticates information. This technical HIPAA security safeguard addresses the concern of unauthorized access to patient information being transmitted over a network. The use of electronic medical records which allow medical personnel to access patient data inside an office or on the other side of the country, must be secure. Encryption is the key tool here. Any technical safeguards will change as technology and threat landscape changes. But with HIPAA security safeguard components in place, the opportunities for cyber attacks and data loss can be reduced significantly. While medical providers are required to follow HIPAA regulations, any network can be made more secure with the very same guidelines. EstesCloud ComplianceCare offers the best-of-breed HIPAA compliance services, making sure your practice will pass any audit that might come your way! “Eighty-one percent of healthcare executives say their organizations have been compromised by at least one malware, botnet or other kind of cyberattack during the past two years, according to a survey by KPMG. In February 2013, Red Spin, a Health IT security firm published a report that over 29 million patient records had been compromised due to healthcare cybersecurity breaches since 2009. Since then, we have experienced two of the largest known healthcare cybersecurity breaches. In the last two years, both CHS and Anthem were attacked. In July 2014, the giant Community Health Systems (CHS) malware attack affected 4.5 million people. In February 2015, health care provider Anthem was hacked, impacting 80 million records, including the company’s own CEO. In both cases, it wasn’t medical information that was compromised, but rather patients’ private information including full names, addresses, social security numbers and more. Spending has been increased to prevent attacks, but this trend is being seen more in large organizations rather than small ones. The small companies just don’t think it can happen to them, but when trends are showing high numbers of compromise and low confidence of protection, it is time to get support. A security audit to access the need and vulnerabilities of the systems is the first step. If you are in the healthcare industry and are subject to HIPPA law compliance, it is critical to protect your client data from a healthcare cyberattack. CompleteCare: Maintaining your own IT infrastructure is expensive and frustrating. EstesCloud CompleteCare combines the benefits of our ServerCare and ClientCare programs into one comprehensive program that protects your entire IT infrastructure at a predictable fixed cost. Let the EstesCloud team become your Trusted IT Advisor, so you can get back to growing your business. ServerCare: A proactive approach to IT that includes regular scheduled maintenance and monitoring is essential to maintaining a healthy network and a productive staff. EstesCloud ServerCare will give you peace of mind knowing that our team is continually watching and caring for your servers. Discover the Benefits of ServerCare. ClientCare: Proactive support for your desktops, laptops, and mobile devices. We provide all of the monitoring, patching, and security tools for your systems, plus full access to our help desk services 24/7/365. EstesCloud ClientCare will ensure your valuable data is secure whenever and wherever it is needed. Take control of your systems today. ComplianceCare: Are you a medical provider under HIPAA or HITECH regulatory compliance? Are government auditors keeping you up at night? Our HIPPA IT Management Service will ensure you are HIPPA compliant. For the health of your IT Enterprise. Disaster Recovery: Is your backup really ready? How much fear is behind the tens of thousands of daily searches for backup disaster recovery? How do we know if our back up is really working? What will we be able to restore, really?